With support from the Ocean Protection Council and the Resources Legacy Fund Foundation, the Center for Ecosystem Management and Restoration (CEMAR) has developed an intuitive, information-based approach to identifying the critical steelhead resources in the region. Our approach reviews watersheds and streams based on the habitat resources they contain to identify the most important areas in which to focus restoration efforts. Twenty-five stream systems are designated "anchor watersheds," indicating their relative importance in restoring the regional steelhead population. "Essential streams" containing most of the habitat resources are identified within each anchor watershed. In each county in the study area, over half of the available habitat is found on these essential streams, documenting that our method can identify the areas vital for preserving steelhead trout in coastal California. This report identifies of the key projects, policies and future investigations we consider essential elements of a regional restoration strategy. 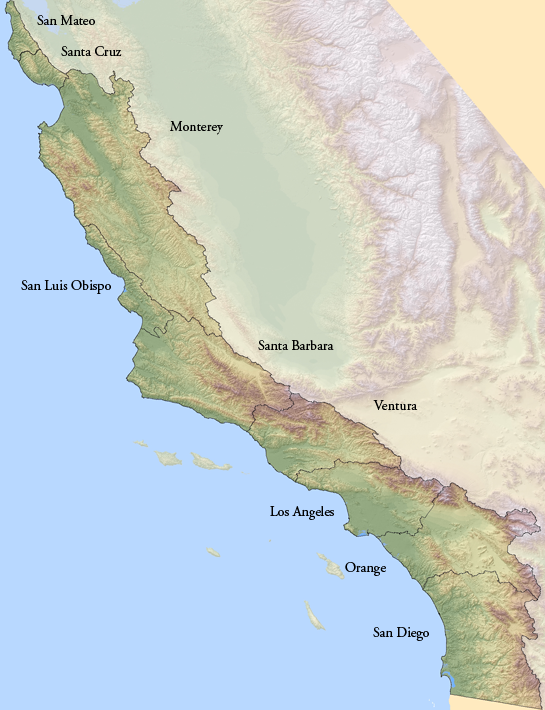 This report assembles for the first time all readily available information regarding steelhead habitat in watersheds draining to the Pacific Ocean south of San Francisco. The report includes text and maps. 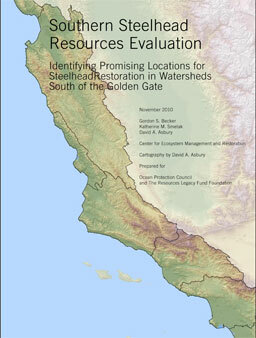 The full text of the report can be downloaded in PDF format here: Southern Steelhead Resources Evaluation PDF Library. or download the entire report.